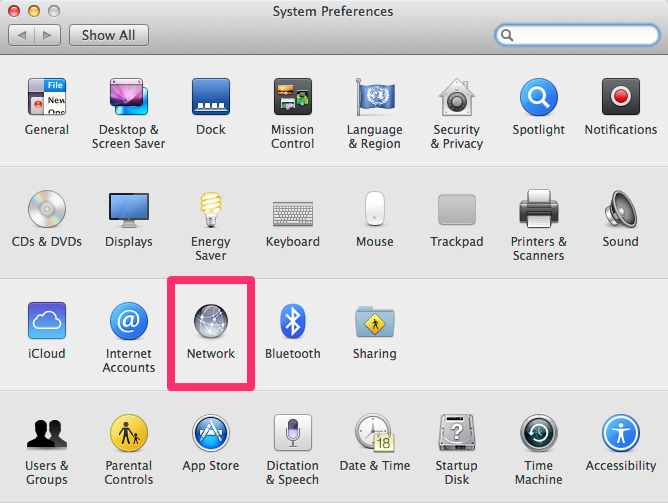 In the System Preferences window, click the Network icon. 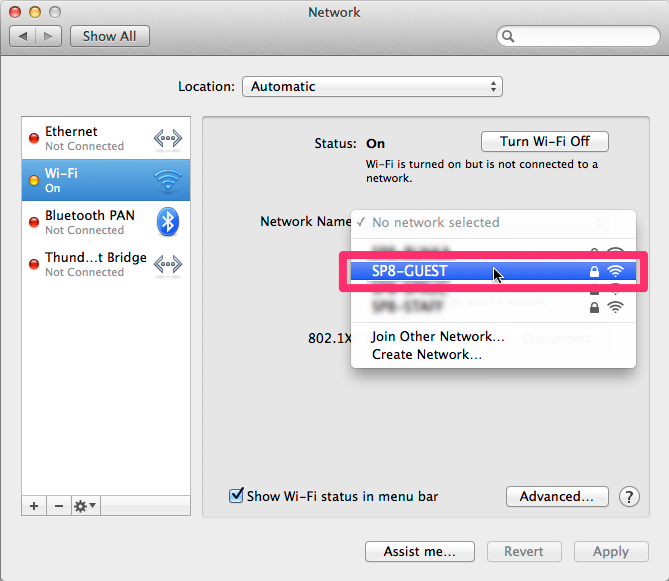 Select Wi-Fi from the list on the left. 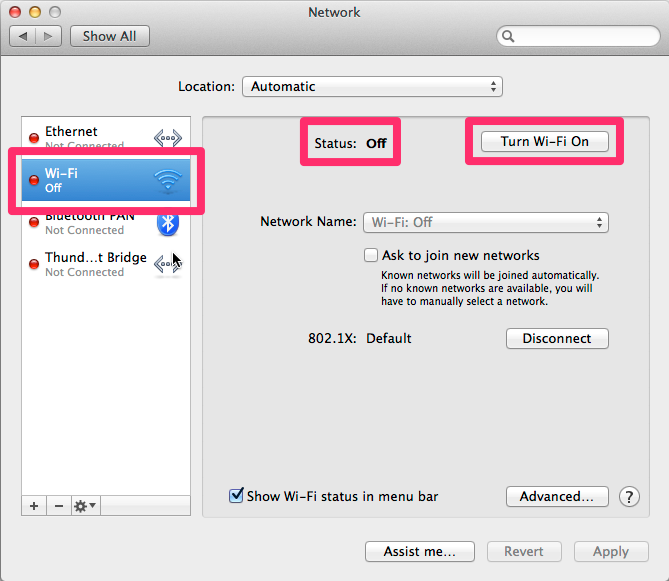 If the Status is Off, click Turn Wi-Fi On. 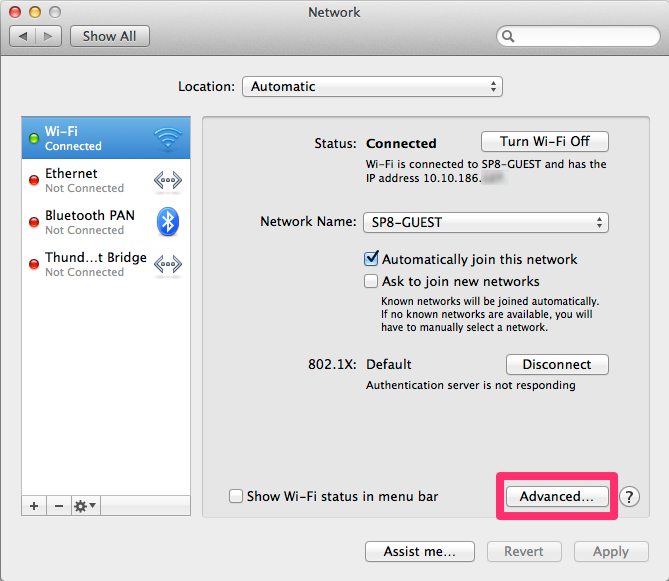 Select SP8-GUEST from the Network Name drop-down list. Type the pre-shared key* in the Password box, and click Join. * The pre-shared key is available at the Users Office/Guest House Reception desk. Open your web browser (e.g. Safari, Firefox, etc.) 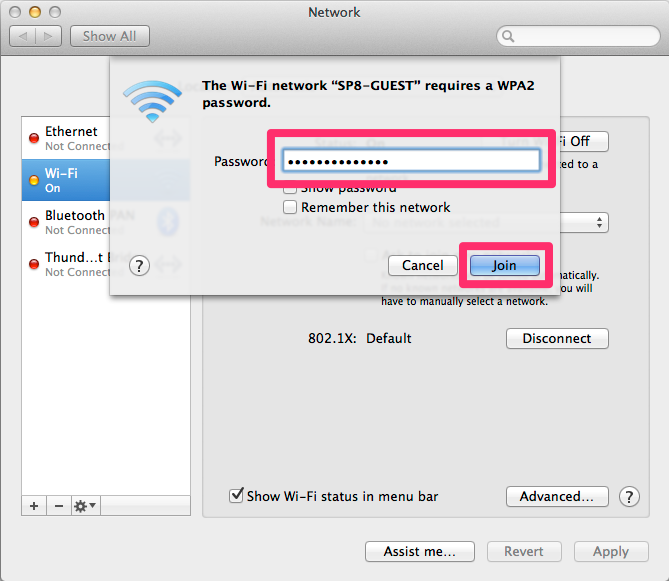 and go to SPring-8 website (http://www.spring8.or.jp), and you will be prompted to the login page of the SPring-8 Wireless LAN System. Enter your User Name and Password, and click Submit. Click the TCP/IP tab. Configure IPv4 should be set to Using DHCP. 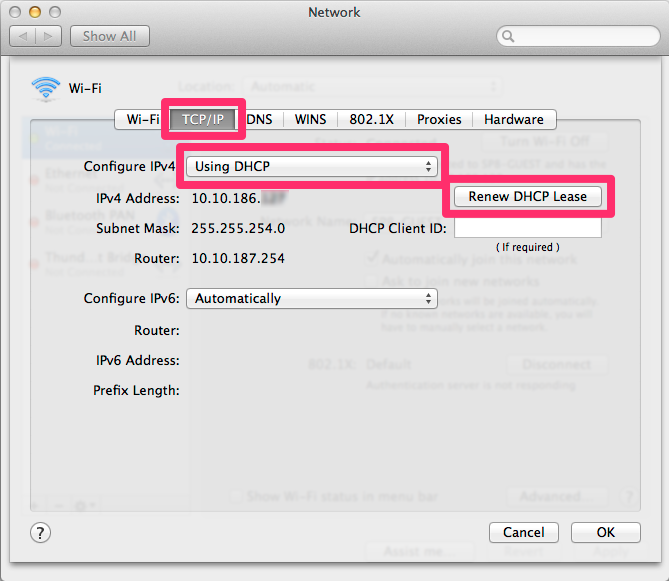 Click Renew DHCP Lease. 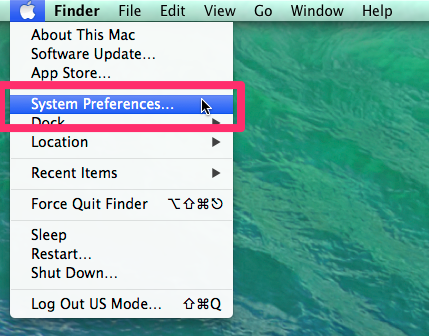 Click the Proxies tab. Make sure Web Proxy (HTTP) is not checked.